Homemade, from-scratch, whiskey caramel sauce made with Fireball whiskey for extra cinnamon flare! 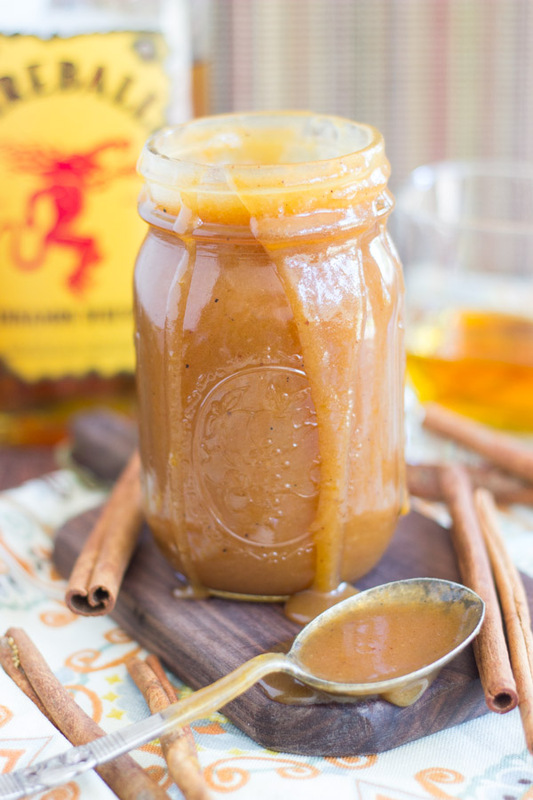 You’ll want this Fireball Whiskey Caramel Sauce on EVERYTHING! 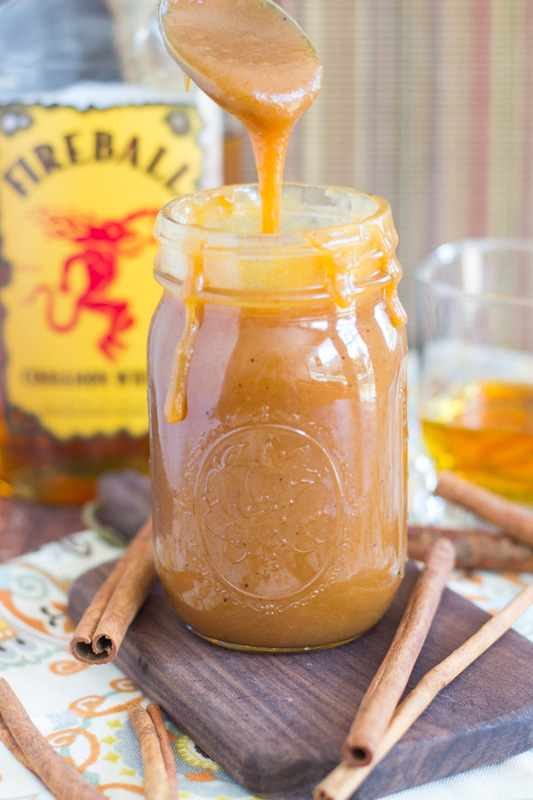 We have to talk about this Fireball Whiskey Caramel Sauce, and it needed to be sooner than later. 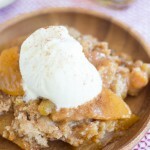 I have a million and one other fall recipes to share (you just wait! ), and they were lined up in front of this recipe. 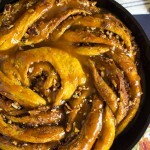 I’ve been baking fall recipes for weeks now, and have an enormous pile of drafts. Somewhere around 40 – it’s crazy. All of those recipes can wait. 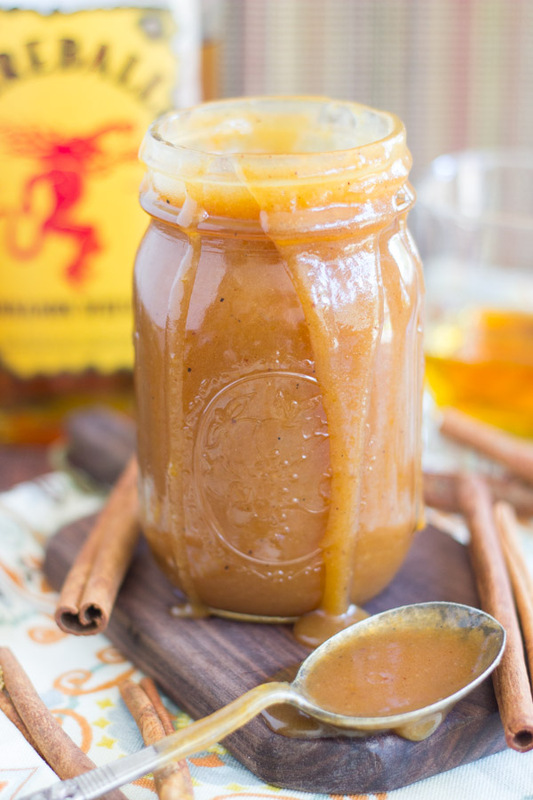 I only made this Fireball Whiskey Caramel Sauce last weekend, but I had to move it to the top of the list. It’s that good. 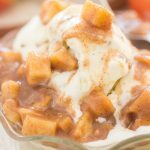 But also, if I’d made this sooner, I would’ve been able to douse a lot of my previous baking alllll over with this caramel sauce. 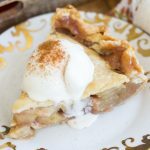 Apple crisps, pies, muffins.. lots of things that are coming up in the next few weeks, and they could’ve been smothered in Fireball Whiskey Caramel Sauce. I’m saving you from making that mistake. 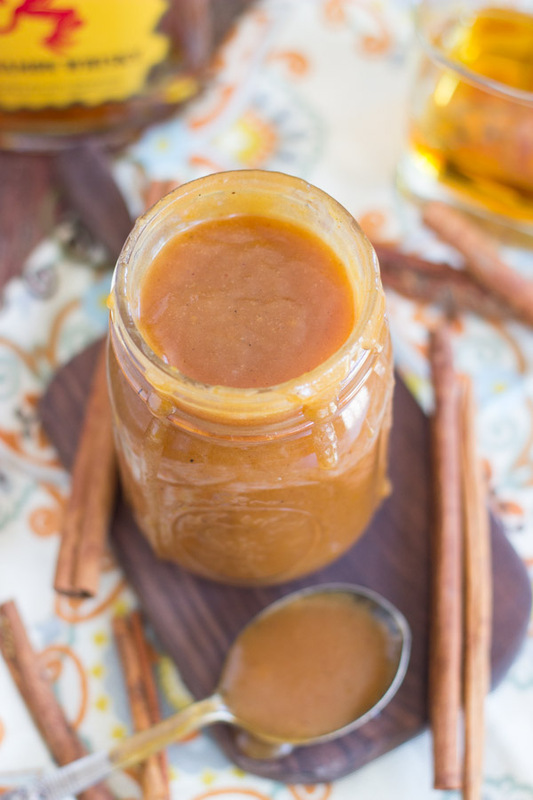 Make this caramel sauce now, and then whatever else you bake this fall, you have it on hand to drizzle generously over whatever it is. Doesn’t even matter, you’ll want this on everything. However, you don’t even need it on ANYTHING because it’s so delicious that you can just eat it straight from the jar, like I may have done. 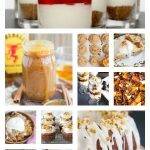 I had a few ideas for incorporating Fireball into baking, and some of that is still to come (see here for Fireball Apple Crisp or Whiskey Walnut Spice Cake! ), but one idea that I was exceptionally proud of was this caramel sauce. 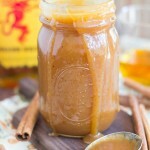 I was planning to make whiskey caramel for an upcoming recipe, and as my mind was brainstorming different ways to put a new spin on that recipe, I came up with the idea of Fireball whiskey caramel. My excitement went through the roof. I later found out that it’s been done before (what hasn’t? ), but I didn’t know that when I came up with it, and so I’m still proud of this ‘original’ idea. I used an old recipe I had for whiskey caramel sauce, and just subbed Fireball. It. is. incredible. You really get all the flavors, but none are overpowering, and all make their presence known. It’s not too boozy, but you really taste the cinnamon whiskey. It’s not overly whiskey-ish and alcohol-tasting, but you definitely get whiskey, and you know that it’s cinnamon whiskey. 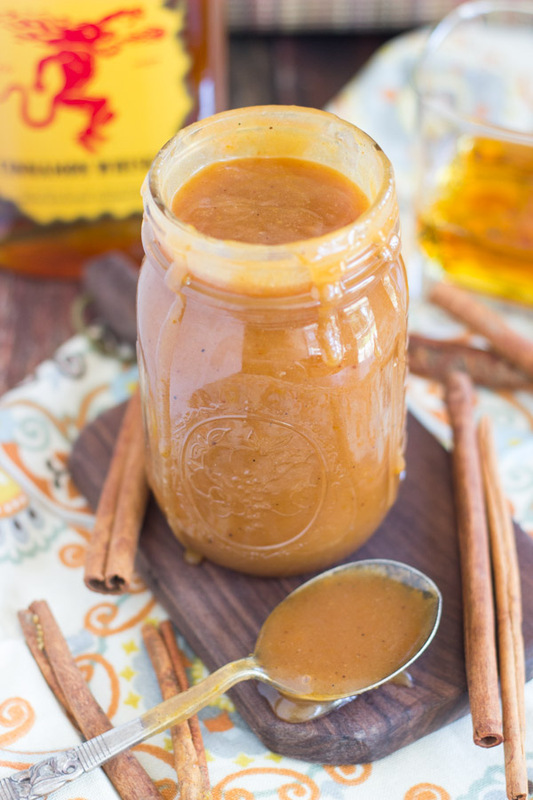 It’s sweet and ooey and gooey, just how you want your caramel sauce, but not cloying. It helps to have that whiskey cut through it. Ugh, how else do I describe it? You just have to try it. 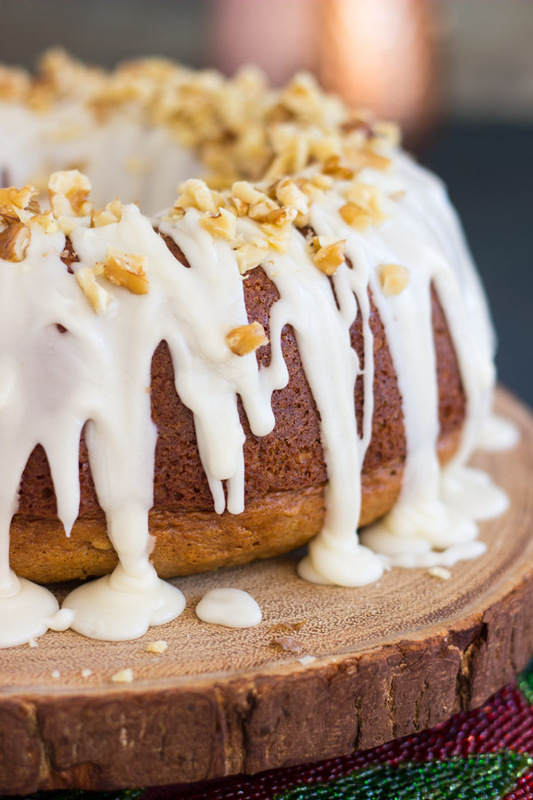 It takes about 15 minutes to make, and it’s EASY. So get to work, and report back. I know you’ll love it too. It is THE BEST topping I’ve ever tried, and I promise you’ll agree! Homemade, from-scratch, whiskey caramel sauce made with Fireball whiskey for extra cinnamon flare! Whisk together 1 c. sugar and the 1/4 c. water in a medium saucepan. Cook over medium-high heat, stirring constantly, for 3 minutes, or until the sugar melts and is no longer granular. Cook an additional 8-10 minutes, without stirring, until the mixture is medium amber in color. Remove from heat, cool for 1 minute, and then stir in heavy cream, butter, Fireball whiskey, salt, and nutmeg, whisking til smooth. In a small bowl, whisk together the egg and 1/2 c. sugar. Whisking vigorously, slowly add the egg mixture to the saucepan. 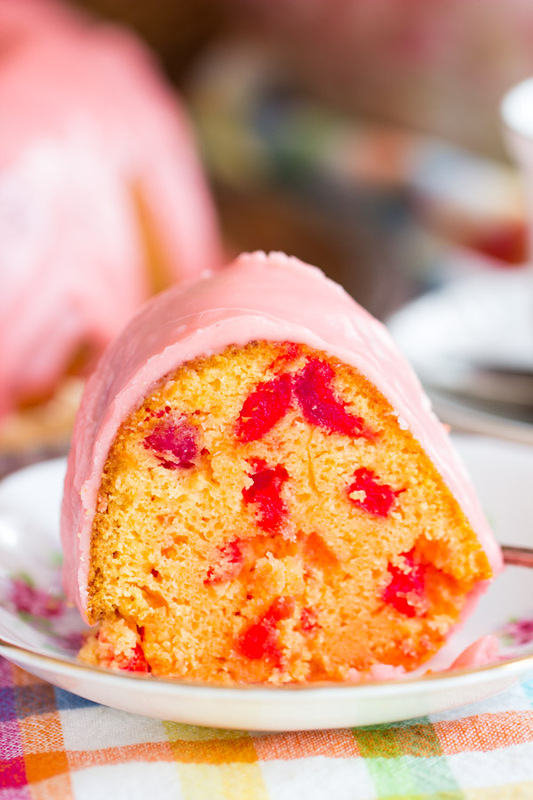 You want to add a little egg at a time, whisking quickly, and making sure not to scramble the egg. Once incorporated, return the pan to the stove, and cook over medium heat for an additional 2-3 minutes, or until the caramel sauce is thickened. Serve warm over ANYTHING. 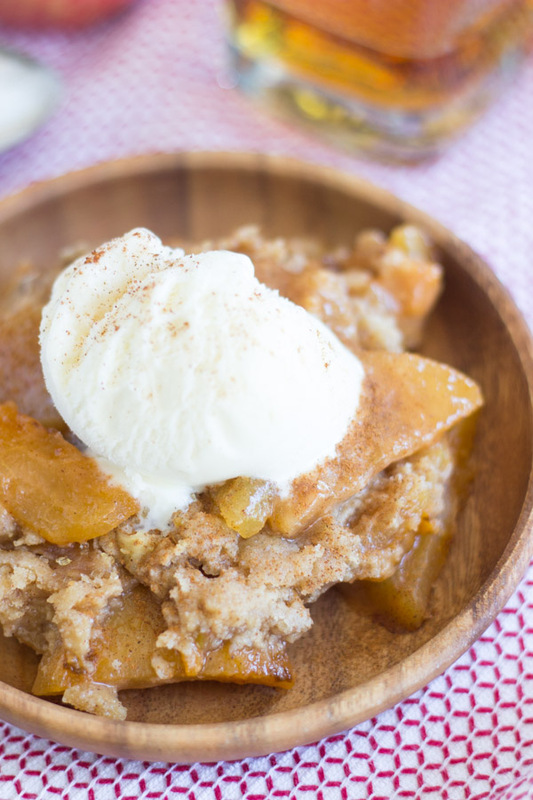 You may also like these boozy recipes! Absolutely! You must try it – it is seriously to-die-for! 40 recipes in drafts?! That is crazy girl! Even I don’t have that many! Lol. 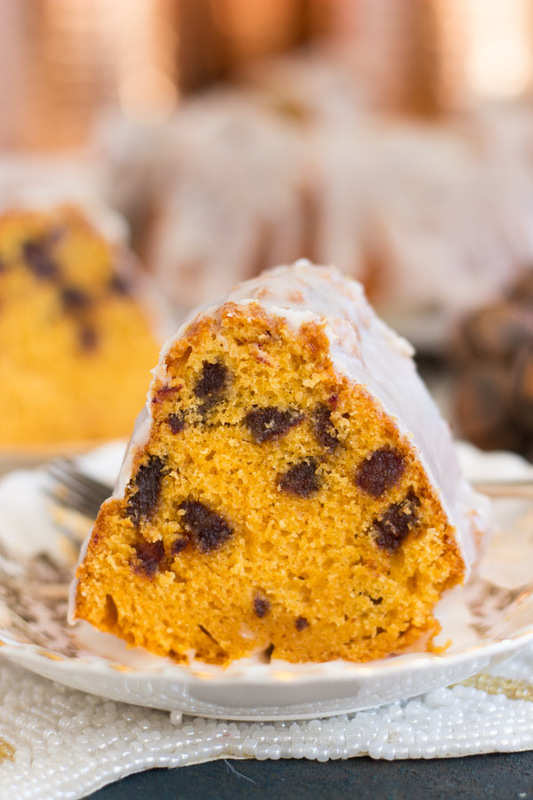 This is so perfect for fall baking! Just ran across your fabulous blog! Penn State? Ok, I DO love their ice cream! I was wondering how long this caramel sauce keeps? I am not a canner but could you “can” jars to give as gifts or maybe not because it must be refrigerated? Just thought it might make a great holiday gift for friends and family. Everyone lives on the East coast and I am in Seattle region so maybe not feasible? And who’s to say a single jar would escape my kitchen if it is as good as it sounds! I think it would be fine if it wasn’t refrigerated, honestly, but just in case, I refrigerate mine. I’m not that familiar with canning either, I’ve only made jams and preserves. It would make for an AMAZING gift though!!! To be safe, I’d say it probably should be refrigerated. I hope you can figure out a way to make it work because people would LOVE this as a gift. I’ve been drizzling all kinds of sweets with it. I love it. How long will this keep for refrigerated? Thinking of gifts. Thank you, sounds delicious! I just made this today and it turned out perfectly. So delicious! I have never used an egg in a caramel sauce before but now i want to experiment with other flavors. This sounds amazing, but why the egg? What exactly does that do? Hi Leslie! It helps it thicken, but there are definitely caramel recipes without using eggs, so if you wanted that option, you could probably find one! 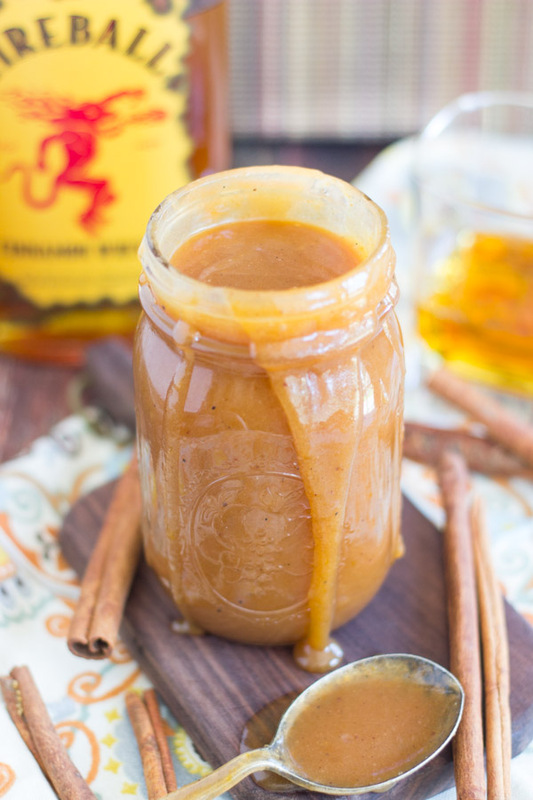 I think it would be easy enough to spike a homemade caramel sauce with Fireball! This was soooooo good. 🙂 Let me know if you try it!